Donor Information Personally identifiable information submitted by visitors wishing to be organ, organ & tissue donors will be added to the Registry and kept confidential. Use of donor information is restricted to those purposes set forth in applicable state donor laws. Specifically, your information is only used in matching your organ donor designation with hospitals looking for potential donors. Your information is only shared with organizations that are authorized by the DC Organ and Tissue Donor Registry, and the organ procurement organization (Washington Regional Transplant Community) to verify this information in the case of a death of a registered donor. We may share donor registry information with an out-of-state federally designated organ procurement organization that has been designated by the United States department of health and human services to serve an area outside DC. Information of Financial Contributors Personal information provided in connection with a financial contribution will only be used for the specific purpose for which it was submitted. Volunteer Information If you submit a volunteer application, we may enter your name into our database and contact you in order to discuss your volunteer application and provide you with information regarding our programs, events and services. Aggregate Information We may use personal information to generate aggregated information that does not allow the individual to be personally identified or contacted. Aggregated information shows visitor activity as a whole rather than on an individual basis and may be used to improve the effectiveness of the Registry and Site. Service Providers We may use third parties to provide us services such as credit card processing, website content management, and email management. In all cases, we would ensure that these third-party service providers maintain the privacy of your information in accordance with this Privacy Statement. 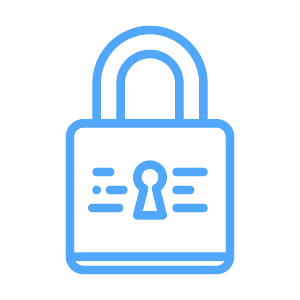 We use appropriate security measures (including encryption and other electronic and procedural safeguards) in order to prevent the loss, misuse, and alteration of personal information under our control. However, no transmission over the Internet can be guaranteed to be completely secure. Consequently, Donate Life DC, our service providers and their respective officers, directors, employees and agents do not represent, warrant or guarantee that personal information will be protected against misuse, loss or alterations.